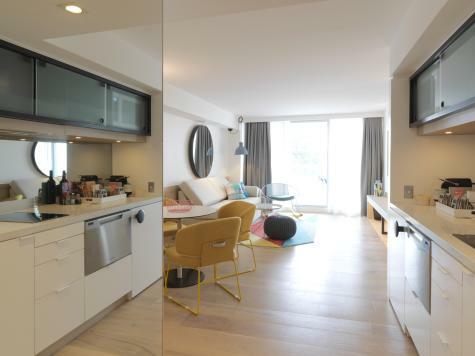 QT Bondi Beach Accommodation offers the only boutique, high-end hotel apartments on Bondi Beach. Experience an exhilarating mix of Bondi barefoot luxury with all the creature comforts you would expect to find in a world-class designer hotel. QT Bondi is the ultimate in chic beachside glamour. Designed by the renowned Australian Designer Nic Graham. Payment is taken at check in, as well as a $1 pre authorisation, which is released after check out. Across the road from Bondi Beach. 200 metres walk. There is a bus stop located just outside of the hotel, the closest train station is Bondi Junction Station which is 3kms away. 30 minute walk & 7 minute drive. 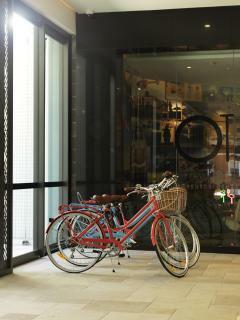 QT Bondi is accommodation only, but offers lift access to local cafes and restaurants. No Day Spa on site However we work with Blys Massage, a masseuse which comes to the hotel payments get charged to the guests account. Accessible Facilities: Lift access and Accessible Rooms available.